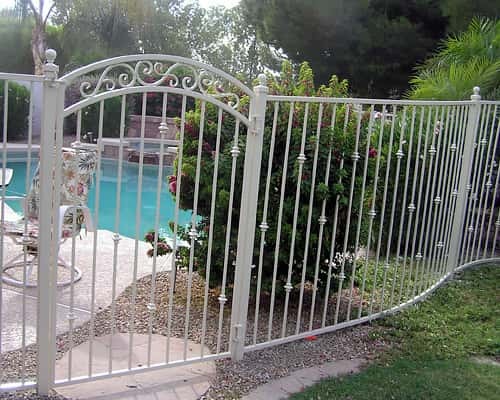 Sun King Pool Fencing & Gates manufactures and installs the safest, most affordable, highest quality pool fences and self closing, self latching gates. 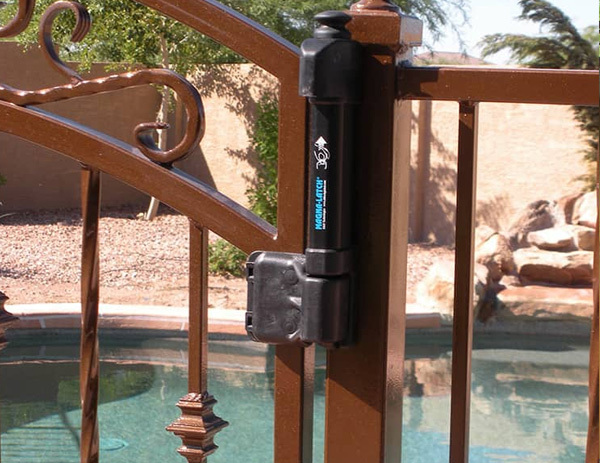 Call 602-989-0839 and talk to Ken about securing your pool today. Owning a pool can provide a great way to enjoy the summer, but with this pleasure comes the responsibility of ensuring the safety of small children and pets. Drowning deaths continue be a leading preventable cause of death in the United States. 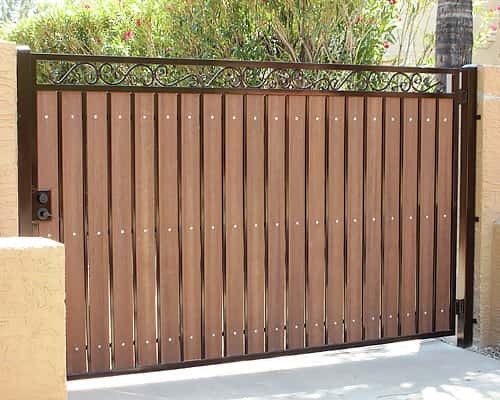 At Sun King Fencing & Gates we strive to educate clients about the benefits that this extra barrier of safety will add to your home. Too many pool drownings happen when adults believe children are still safely playing inside. Our pool fences and gates meet or exceed all local fencing regulations. We use Magna Latch, a product that has been protecting toddlers for over 25 years. This lockable safety gate latch features permanent magnets and a mechanical self closing, self latching, never jam design. 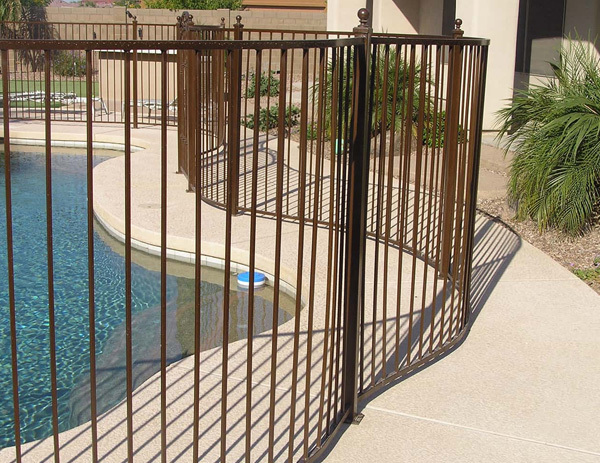 We custom fabricate every new pool fence at our shop in Mesa and have many decorative styles and colors to choose from. Our talented designers pay attention to every detail and work in tandem with our fabricators to easily tackle issues such as grade change and curved fencing that matches the contour of your pool. 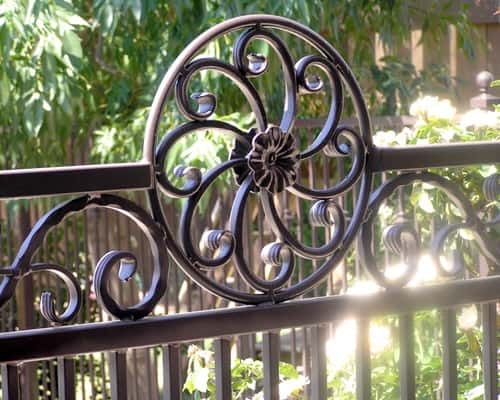 Enhance the appearance of your fence with ornamental arches, scrolls, knuckles, or finials to add a personal touch. When we come for our initial visit we can show you our many design options. At Sun King Fencing & Gates we enjoy bringing clients visions to reality. If you have seen a certain style that you are interested in send us a picture or sketch and we can incorporate it into your new fence. We enjoy customizing and our in house fabrication team will astound you with the results. We have served the Phoenix Valley Metro since 2002, with satisfied customers in Apache Junction, Avondale, Cave Creek, Chandler, Fountain Hills, Gilbert, Mesa, Paradise Valley, Queen Creek, San Tan Valley, Scottsdale, Sun City, and Tempe. Give us a call at 602-989-0839 today and let us know how we can help you.